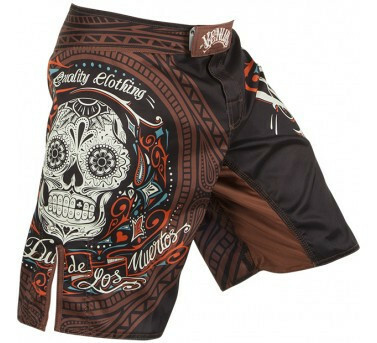 We designed those 'Santa Muerte' fightshorts thinking about 'pistolero', the kind of man that is quick on the draw, harsh and strong. The side splits on both sides improve your mobility while the Flex-System placed at the crotch allows you more velocity on the ring in order to be faster than your shadow! Finally we decided to add a new closure the Speed Grip&trade for a quick adjustment. No waste of time, you are ready to lay out your opponent. - Flex-System placed at the crotch. - Side splits improving your mobility. - Zero lateral seams: fitted to your functional anatomy to increase your flexibility and liveness. - New Speed Grip&trade closing for an easier and speeder adjustment of your fightshorts. - New: Venum embroidery on the Velcro closure.